I last discussed certification in the industry and the basic components of Building Automation Systems (BAS). Earth Rangers employs Schneider Electric’s brand of commercial BAS called Andover Continuum. (Figure 1) Much like the brain is the control center of the human body, the BAS at the Earth Rangers Centre controls all of the building systems including lighting, HVAC, security and access control. Historically Building Automation Systems were used for a building’s heating, ventilation and air conditioning (HVAC) system. Modern BAS however can also control indoor and outdoor lighting, the security system, fire alarms and anything else that is electrical in the building. Think of an old HVAC control system, such as wired thermostats or pneumatic controls, these are a form of automation but lack the modern flexibility and integration of today’s systems. So how do they work? For the sake of this blog we’ll stick to the basics. Controllers are essentially dedicated computers with input and output capabilities that come in a range of sizes and capabilities to control devices commonly found in buildings, and to control sub-networks of controllers. Inputs allow a controller to read temperatures, humidity, pressure, current flow, air flow and other essential factors. The outputs allow the controller to send command and control signals to slave devices and to other parts of the system. Inputs and outputs can be either digital or analog. 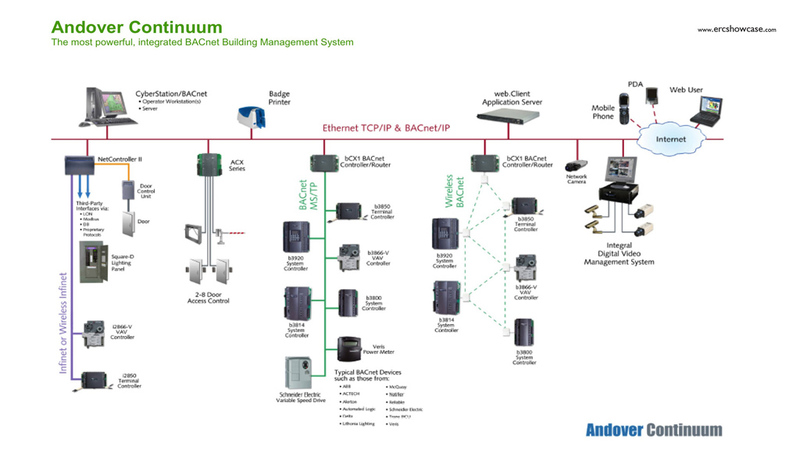 Most building automation systems have a primary and secondary bus. High-level controllers are connected with lower-level controllers (Figure 2), input/output devices and a user interface. (Figure 3) What makes communication possible between devices? BACnet and LonTalk are communication protocols developed to allow communication in BAS. They provide mechanisms for devices to exchange information regardless of the service they perform. Issues hampering the capabilities of automation lay with proprietary hardware that dominates the controller market. Each company has controllers for specific applications. 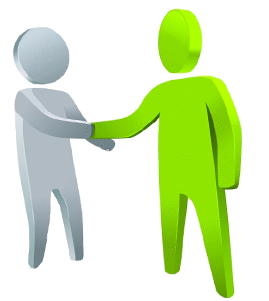 Cooperation is at the Zigbee/BACnet/LonTalk level only. Analogue inputs are used to read a variable measurement like temperature, humidity and pressure. Analog outputs control the speed or position of a device, like a variable frequency drive, a valve or damper actuator. A hot water valve opening up 25% to maintain a set point is an example of an analog output. Another example is a variable frequency drive ramping up a motor slowly to avoid a hard start. 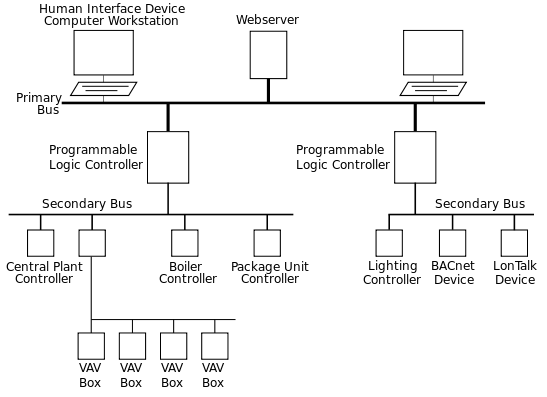 A digital input indicates if a device is turned on or not. Some examples of an inherently digital input would be a current switch or an air flow switch. Digital outputs are used to open and close relays and switches as well as drive a load upon command. An example would be to turn on the parking lot lights when a sensor indicates it is dark outside. 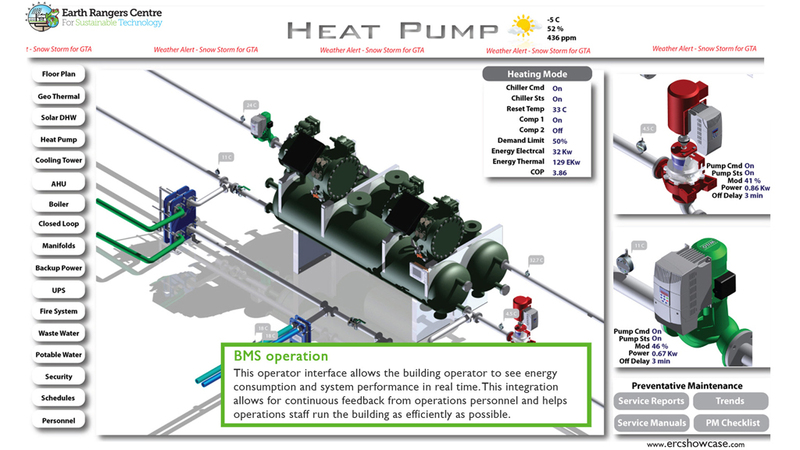 See how we’re using our Building Automation System here. KMC Controls. “Understanding Building Automation and Control Systems”. Retrieved 27 March 2013. “Lighting control saves money and makes sense”. Daintree Networks. Retrieved 2009-06-19. KMC Controls. “Zone control with Variable Air Volume controls (VAV)”. Retrieved 27 March 2013.